Ramayana: The Game of Life , one of the world's great literary masterpieces, skilfully retold for modern audiences. Epics like the Ramayana have been recounted infinite times. Is there a need for another chronicle in the presence of so many? How is this one different? And is it relevant to our ever-changing modern lives? Yes, there is a need, yes this is different and yes, it is relevant. This new series of books, each following one khand of the Ramayana, decodes the eternal wisdom of that poetic scripture through gripping narrative and thought-provoking instruction. In the time-honoured custom of spreading wisdom through tales, every fascinating story in the epic is retold here and every character unfolded to captivate your heart and open your mind to life's deepest questions. Some books teach ideals and some books entertain. Ramayana: The Game of Life is an attempt to present this timeless story in a way that is entertaining to the heart and enlightening to the intellect.A good game is full of twists and turns at every stage and promises to thrill with its absolute unpredictability of results. But no one wants the same to happen in real life. Life should be extremely predictable and smooth – this is what most of us are comfortable with. Stories like the Ramayana present the realities of life in the most exciting manner. This magical epic arms us with valuable tools to deal with the various twists and turns of our own lives. The simple wisdom to be found in dharmic tales like the Ramayana is always fresh and gives us the clarity we often need, while being rooted in time-tested traditional values. Those who are looking only for the story of the Ramayana will find it here, packed with plenty of exciting drama and action. This book keeps Valmiki’s Ramayana front and center, yet explores other versions, gently weaving in aspects of Kambar Ramayana’s beautiful poetic analogies and folk tales that are in philosophical alignment with Valmiki’s Ramayana. Those who seek to relate the story to their own lives will find in the footnotes, practical learnings gleaned from various facets of the story. These sutras will help them navigate and steer the ship of life through stormy seas and clear skies alike. Essentially, every one of us falls into one of three categories in the game of life: positive contributor, negative destroyer or protective mediator. So here we find all the sages headed by the iconic Vishwamitra striving to contribute positively to society through the Vedic sacrifice even as the demons, headed by Maricha and Subahu, try to destroy the positive forces by casting spells of intense negativity. And Rama and Lakshmana work to protect the positive from the corrupting influence of the negative by wielding a protective shield of arrows. This, for instance, is a classic scene taken from the game of life. Which role do you want to play? Book One of the six-volume Ramayana: The Game of Life, which draws extensively from Valmiki Ramayana’s Bala Kanda, is entitled Rise of the Sun Prince. The coming together of myriad forces that it takes to give rise to a perfect hero are brought out through the early life of Rama. As Rama carefully weighs the pros and cons of so many of His decisions and words, we catch a glimpse of the loftiness of a real hero. What is more, we also begin to value the simplicity of being a good student. In Rise of the Sun Prince, we are exposed to the struggles of an imperfect teacher, one who relentlessly fights his internal battles to rise above his shortcomings. And this, in a way, is the central hero of this book – Vishwamitra, the ever-angry sage. As the teacher mentors his pupils, Rama and Lakshmana, they, too, mentor him on another sphere. As the story advances, we witness the angry sage and imperfect teacher blossoming into a focused spiritualist and perfect student, learning the laws of progressive living. We palpably feel the angst of Dasaratha, his struggle as a father on the one hand and a king on the other. How does a loving father resolve his conflicting role as a dutiful king, especially when his duty obstructs his love? This book also unravels the story of Sita, whose life revolves around a bow. For a girl, handling the delicate balance between love and tradition is like walking a tightrope between life and death. Are traditions made to die or are they made to live on? This is a question only the heart-moving saga of the marriage of Sita and Rama can answer. 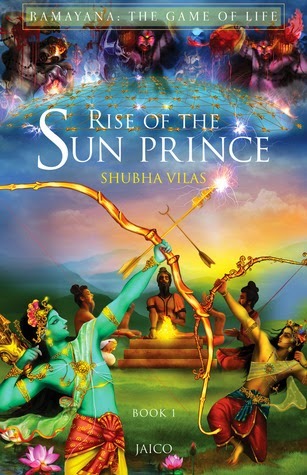 Rise of the Sun Prince reveals to us the range of principles that underlie the healthy relationships in our lives – between parents and children, between husband and wife, between brothers, between a leader and his followers, between a teacher and his students. The Ramayana is not a book; it is a way of life. Each one of us has grown up with various liberal helpings of the Ramayana in various forms to us. The one thing that makes this one stand out is its simplicity to express such crucial lessons of life. The author surely deserves a standing ovation for not letting the reader get bored ( which happens at times in such mythological books) and grab his attention so perfectly that you want to finish the book in one reading. Human relationships are perhaps the most complex of things, not only as on today for us but from since eternity as it can be seen in this book. Gods also became mere mortals as they played the roles of dutiful sons / daughters, loving husbands / wives, adorable fathers / mothers with a strive to achieve perfection in every role and yet leave behind something. As the author has rightly said Ramayana is not a book, it's a way of life and through this book the author makes us look at our whole life in newer perspective. Adding onto it is the beautiful mesmerizing cover and of course the beautiful insides of the book which scream for attention. Every time I held it in my hand I fell a little bit more in love with it as it made me see my childhood world in a new style. I admire the author's style of writing this already told tale once again in such an innovative manner. It makes you re look at Ramayana in a newer light. An endearing book that will remain with me for long sheerly because of its beauty and simplicity. And needless to add am looking forward the other parts in the series! Strongly recommended for all readers who enjoy reading Indian Mythology. 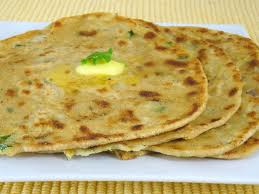 This book is like Mooli parantha - tangy, spicy and mouth watering! Glad you agree. I reviewed the book and found it interesting as well. Do you review as a professional?